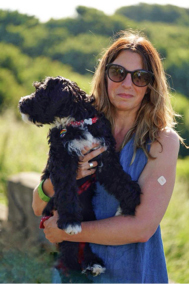 Jo Yaldren left the Hoffman Process with a new life vision – but was then greeted with a diagnosis of Parkinson’s Disease that threatened to derail it. 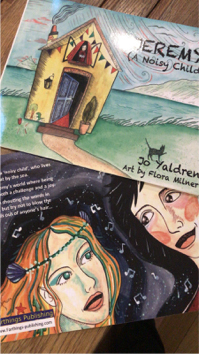 Jo writes about how finding a positive outlook and facing up to change mean she’s now on the cusp of realising a long-held dream. ‘Four years ago, I was stuck in all sorts of patterns. Although on the surface everything seemed fine, I was anything but. I was absolutely ready for change when my sister gave me the best present ever – the Hoffman Process. From the first phone call onwards, the Process was wonderful. The week at Florence House (where it was held), was so incredibly special. My group of 24 formed deep and lasting bonds. Four years on, 22 of us are still in touch. How has my life changed since that summer in 2014? 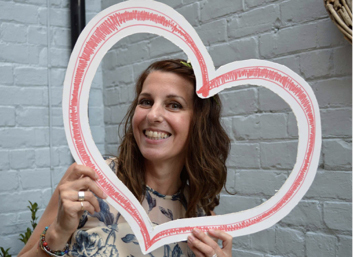 It’s been a rollercoaster of unexpected highs and lows and accelerated learning, so I’d need to ask a lot of your time to answer that in depth, but there are three things I’d like to share: my Vision, my diagnosis and the surprising gifts it’s brought me. During the Process, we worked on our ability to create a Vision for our future. The Vision I shared was to turn a story I wrote for my children when they were small into a children’s book. With absolutely no clue how to make this happen, a full time job and a busy life, this dream would previously have fallen by the wayside. This time, Process practices got me back on track when I wandered off. It was an incredibly lengthy slog – writing the story up, finding an illustrator, searching for an agent, giving up after the third rejection – and in the meantime, an unexpected drama was unfolding with my health. The signs of the disease were already there while I was at Florence House. I’d noticed my handwriting had been getting smaller. The letter-writing exercise was pretty challenging. My left leg was stiff – making sitting on the floor interesting – and a tremor had arrived in my left hand. Not only that, but I had persistent fatigue. I‘m ashamed to say that despite 26 years of nursing (and university nursing teaching), I didn’t join the dots. Which meant I was sitting by myself when my lovely new consultant explained that I had Parkinson’s disease. “Oh dear…” was all I could manage before the tears began. I was 47, and couldn’t take in the news I’d been given. Without Hoffman, I don’t know how I would have coped. My husband had also done the Process, so we were lucky to have a shared language and experience to help us avoid imploding, exploding or numbing ourselves from this uninvited guest. Coming to terms with my diagnosis has been messy. It’s been a smörgåsbord of emotions, and I noted with academic interest how I moved through the stages of grief. 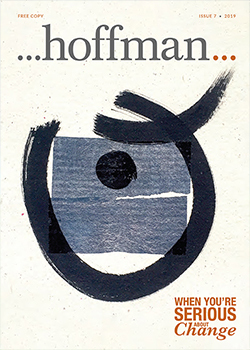 The Hoffman work on transference helped me deal with other people’s responses to my news. I used the Hoffman App to keep up practices I’d found so restorative during the Process. Quad Checks – where you check in with the physical, emotional, mental and spiritual aspects of yourself – were calming and Gratitudes were lifesaving. I spent a lot of time walking on my local beach during the first year after diagnosis. It helped me think, cry in private and provided a quiet space to contemplate the hand I’d been dealt. As I walked, collecting rubbish along the shoreline became a kind of mindfulness practice; it focused my attention on the present moment and gave me a rest from my busy mind. Before long, I was posting my beach cleans on social media and I began to highlight the problems of plastic pollution across the UK and beyond. In 2016 I invited local like-minded souls to fundraise to purchase a #2minutebeachclean board, which reduces beach litter by approx. 60%. 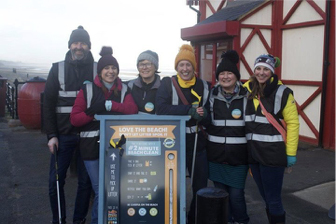 Our group (pic to the right) now has a Facebook following of over 1000 and our monthly beach clean attracts between 30-140 volunteers of all ages. As well as a cleaner beach, we’ve created a wonderful community who care about making the world a better place. But the next gift was even more unexpected. All my life, I’ve been used to the roles of bossy oldest sister, nurse and teacher so it’s taken a while to be at ease letting people know I have Parkinson’s. I found it incredibly hard to be seen as needing support or help. I drew courage from many sources: friends, family, counselling, wine, inspirational author Brené Brown and all I learnt on the Process. I’ve started saying yes to things I’d always wanted to do but didn’t and saying no to the things that held no appeal. My Hoffman roommate (Kaz) recommended I read A Year of Yes by Shonda Rhimes and its soooo good! I’ve found that in being imperfect I’ve had more meaningful relationships and that mostly my struggles, when shared authentically with the right people, have been met with nothing but love. In June 2018 I shared a short video of my hand tremor with a closed group of Instagram friends. I wanted to share something real – not just the smiles and filtered images I usually post. As soon as I did it I experienced a shame storm. Had I over-shared? Would I seem needy? (Huge trigger for me). You get the picture. Your friend Ann shared with us the courageous way you’re facing your Parkinson’s diagnosis. It was such a brave move to post your tremor on Instagram! What a hard decision, but no doubt it inspired so many to realise they are not alone. We want to celebrate your courage in embracing who you are right at this moment. 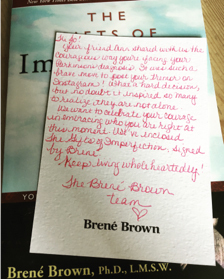 We’ve enclosed The Gifts of Imperfection, signed by Brené. Keep living wholeheartedly! I just sat with my mouth hanging open rather unattractively and stared at it. What was going on? Not only had I received this wonderful gift, but my friend who works full time, who has two sons doing GCSEs and a finals dissertation and who had only lost her mum a few weeks earlier had taken the time to hand-write a letter to Brené Brown about me. About me! Being authentic was bringing me love and connection. Parkinson’s was a catalyst leading to joy. As you can imagine, my book took a bit of a back seat while my life adjusted. However after my diagnosis, the idea of completing the book took on new meaning. I felt ‘on the clock’. I decided I’d try again to make a success of this venture. Perhaps it could even help support me if I couldn’t work any more? So I asked a small local publishing house to make a mock-up of the book. When the first copy arrived through the post for me to actually hold, it was a really special moment. My ‘pie-in-the-sky’ vision had been realised. Now I have a book, a website and hope. I just need an agent and some luck if this pipe dream is to become a reality. Write your goals and visions down. Talk about them often with supportive others. Just keep going….even when it’s a disaster. Good things can come from the most awful situations. Use the Hoffman App. It’s brilliant! If you were living life ‘on the clock,’ what would be important to you? Really important..? I thought of my eulogy (yes this was a dark day) and realised that no-one was likely to mention the hand prints on the wall or my lovely sofa cushions. In a moment of clarity, I felt time and the people I love are the most important things for me. What’s truly of value to you? What’s stopping you from creating a life you really want? For more about Jo’s book, Jeremy (A Noisy Child), click here or to buy a copy online, click here.